pier 3 square, a photo by m greenbaum photography on Flickr. I didn’t realize just how much I missed the beach until I moved more than ten minutes away from it. 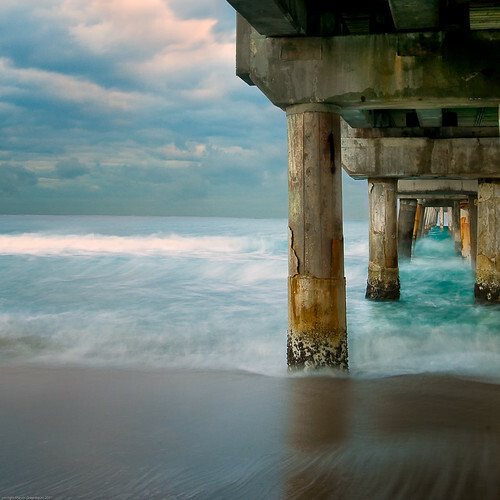 Growing up in South Florida, the clean, sharp tang of saltwater tangles itself up in your life. The scent of salt, sand and seaweed reminds me of senior prom – cute boys, huge dresses, glitter and teenage idiocy. It’s star-scattered nights where the air hangs heavy like wet velvet. You spend the hours, swatting at mosquitoes and talking about everything and nothing all at once. It’s summer storms where you race to your car, slip-sliding in soaked leather flip-flops and fiddle with the handle before finally getting in. You sit there, sticky and disheveled rocking out to Bush as you wait for the storm to pass you by. I spent Memorial Day weekend in Rehoboth, Delaware with some amazing people. I took in deep lungfuls of salty Atlantic air, I drank gin and tonics while reading Hemingway, I played with dogs, I dug my toes into the sand and I watched as my skin became my own again — warm brown sugar with the creases at my elbows so dark, they’re almost blue. It was perfect and if that isn’t nice, I don’t know what is. _MG_6909-85, a photo by JMaloney on Flickr. It´s not too late to repent…. With the ministry of rock and roll! BUT I can promise you life….right now! 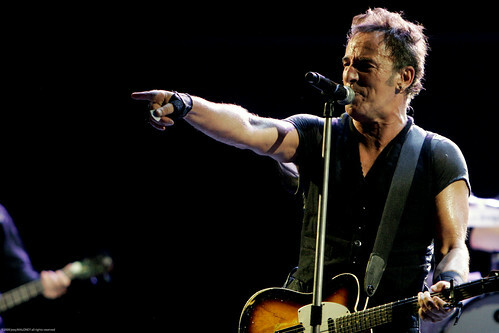 – Bruce Springsteen. 12/06/00. Madison Square Garden, NYC. 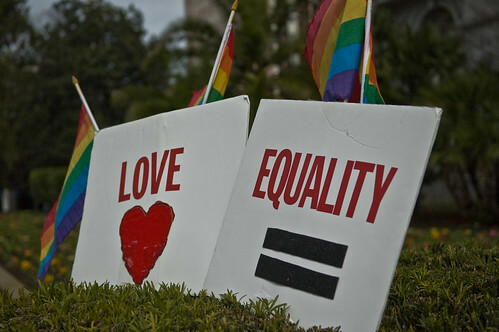 Love and Equality Rally, a photo by JaysterDotCom on Flickr.